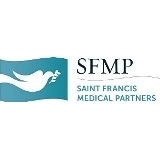 Saint Francis Medical Partners - Millington (Millington) - Book Appointment Online! Our Family Medicine physicians offer healthcare services for all the members in your family -- infants, women, men and children. Services include annual health exams, well visits, immunizations, screenings and preventive care. WE ASK THAT ALL NEW PATIENTS PRINT OUT THE NEW PATIENT FORMS (IF POSSIBLE)AND COMPLETE THEM PRIOR TO YOUR FIRST VISIT. PLEASE REMEMBER TO BRING THEM WITH YOU TO YOUR FIRST APPOINTMENT. A good PARTNER in managing my health!